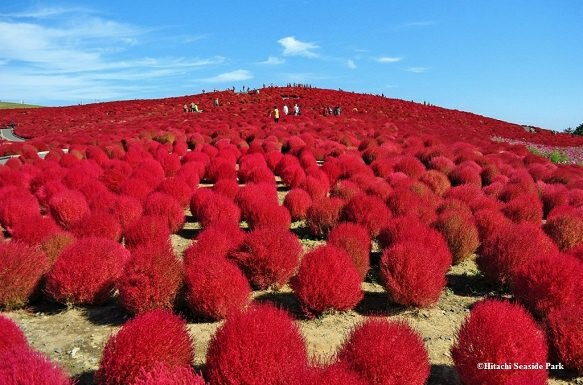 Hitachi Seaside Park is a magnificent flower garden in Hitachinaka, Ibaraki, Japan. 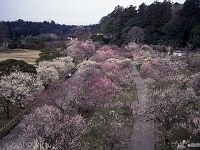 The park is filled with flowers year round and attracts visitors of all ages. The flowers in bloom change year round with the seasons. The park's most popular flowers are the nemophilas (baby blue eyes) and kochias (summer cypress). 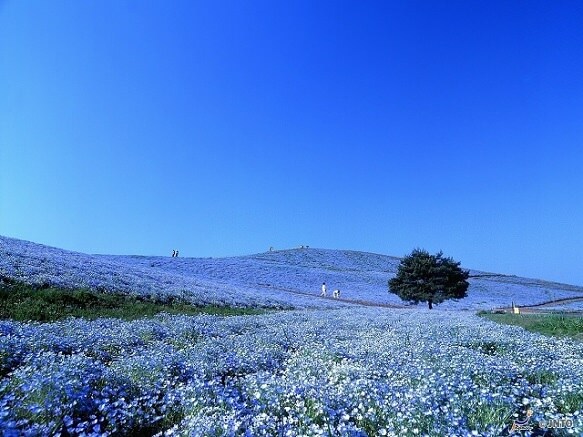 The nemophilias fill the hills with their beautiful baby blue color from late April to mid May. 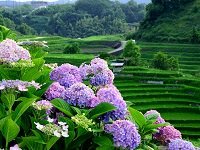 The hill then transforms from green in the summer months to a gorgeous red color when the kochias bloom in October. The park has many other varieties of flowers including lavenders, tulips, daffodils, poppies, and many others. More than a million daffodils and 170 varieties of tulips fill the park. 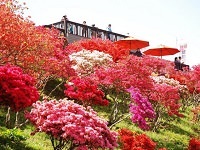 To explore the amazing flower park, Hitashi Seaside Park offers a variety of ways to get around besides walking. The park rents out bicycles and even has a small train that goes around the park and stops at different locations. The bus can be used all day with the purchase of the all day pass. Hitachi Seaside Park also features a ferris wheel that takes you 100m up, providing an amazing panorama view. The park also has several other attractions for children and adults to enjoy including roller coasters and golf areas. Be sure to check their website for the flower calendar so you can visit during the right time of the year.